Funky Freo small bar, great for spirits and cocktails. Who's Your Mumma was reviewed on Saturday 29th December 2012 13:15 by Richard. Just a stones throw away from the hustle and bustle of Freo's main South Terrace strip is a small inconspicuous bar, Who's Your Mumma. For me this place is the epitome of Fremantle; laid back, good music, a rustic look and most of all a chilled crowd. 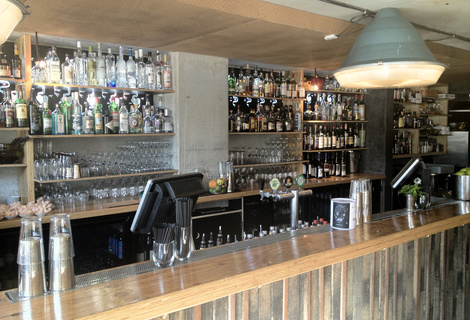 Not to mention a decent selection of drinks (mainly spirits and cocktails) with a few tap beers and wines on offer. 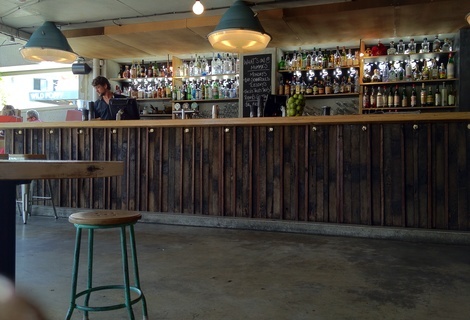 We headed over to Who's Your Mumma for a drink and some tapas before a late lunch at The Norfolk down the road. If you didn't know where it is you'd probably walk straight past it. 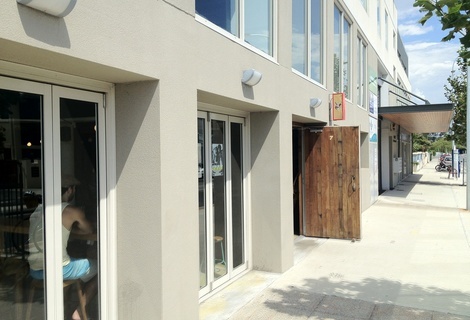 The bar is tucked under a 'flat iron' style building on the corner of South Tce and Wray Ave in Fremantle. 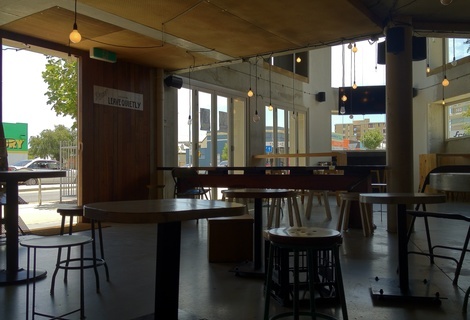 The bar has a great rustic feel to it, the back wall has transparent perspex inserts exposing wiring and insulation, the roof has light globes dangling from it at different heights and there's a big fern creeping up a wall next to the bar, very Fremantle. We ordered a few pints and sat down at one of the booths under an aircon unit (it was 41 degrees outside!). The menu has a small selection of bar snack style food, they also have a few special nights during the week where more substantial meals are offered. They even get their tacos for "Taco Tuesday" from one of our favourites, La Cholita in Northbridge. We ordered a tasting plate as well as some corn chips with salsa. There was only one guy behind the bar but he was quite capable of serving us and other patrons drinks as well as bring out our food quite quickly. 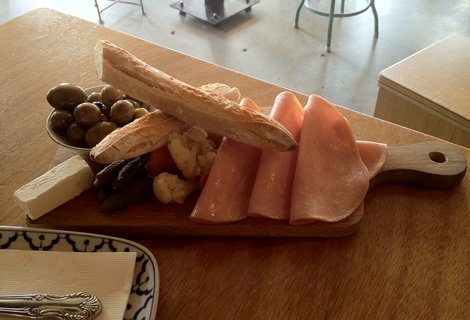 The tasting plate was interesting, two big bits of warm fresh bread which was great as well as some feta, olives, ham, pickles, onions and assorted pickled veggies, pretty decent value for $18. 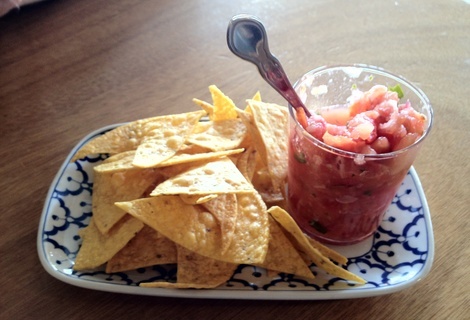 The corn chips were okay too and went great with the homemade style tomato and onion salsa. Overall we were pretty pleased with the food as a snack but they're definitely not meals nor are they pretending to be. If you're looking for some reprieve from the busy, touristy, pirate impersonating cheesiness of Freo's main South Terrace strip walk about 500m down the road and grab yourself a drink at Who's Your Mumma. Live for the weekends and enjoy sinking an ice cold beer or two with mates, especially in a beer garden somewhere on a sunny Perth afternoon. Login using Facebook and leave your rating here. If you'd like to contribute your thoughts on this pub, then why not submit a review? 8/10Norfolk Hotel Fremantle in Fremantle, WA (369m away)A Freo icon - Amazing food and a good range of beers. 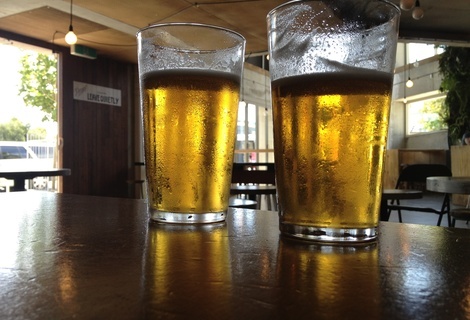 8/10Sail & Anchor Tavern in Fremantle, WA (493m away)Arguably Perth’s best beer venue – huge range of local, national and international craft beers. 6/10The Monk Brewery & Kitchen in Fremantle, WA (535m away)Delicious in-house brewed beers in a great central Freo location. Let us know your thoughts and suggestions by using our contact form.